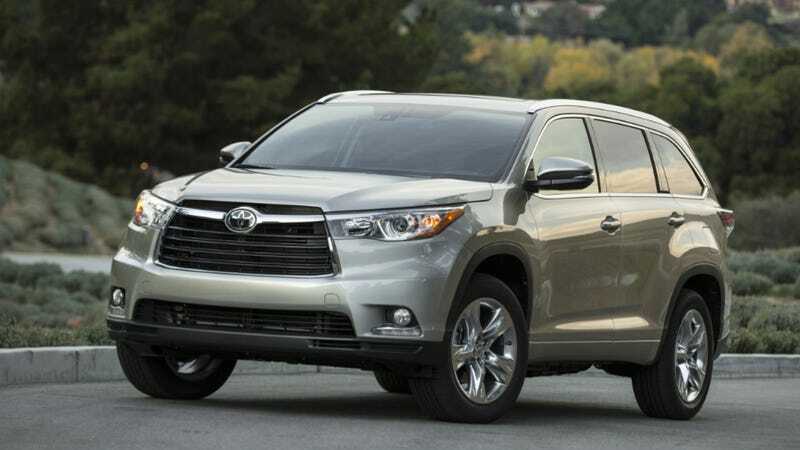 The Toyota Highlander is the Camry of mid-size SUVs, meaning it does everything well enough and with a minimum of fuss. What do you need to know before you buy one? Don’t worry, we’ll tell you everything right here in our Buyer’s Guide. When we say it’s like a Toyota Camry we mean because it literally runs on a modified version of Toyota’s K platform, which was developed for the Toyota Camry. You can think of this as the giant Camry wagon that Toyota doesn’t want to sell in this country (i.e., the Venza). That doesn’t make it bad. For all the jokes we make about the Camry being appliance-like, it’s an appliance that works quite well for most people. The Highlander is also one of the most attractive vehicles that Toyota makes right now, which is only slightly sad. Like the Camry, you can get the Highlander with your choice of a four-cylinder engine putting out 185 horsepower or a larger V6 that puts out 270 horsepower. There’s also an option for a V6 hybrid that boosts total output to 280 horsepower and raises the fuel economy from 19 or 20 in the city, to 27 MPG, and highway fuel economy from 25 MPG to 28 MPG. The Highlander was new for 2014, and one of the big stories for the new CUV was the ability to accommodate up to eight passengers. This was possible due to the significantly longer, wider body than the outgoing model. The exterior and interior also got some new styling, and safety features like lane-departure warning and pre-collision warning became available. Changes for the 2015 model year were minimal.